What if there were a button that spewed out a delicious cookie each time you pressed it? Well, you’re in luck, Blitzen! Just in time for the holidays, Food Network’s Facebook Messenger bot has launched a couple new holiday features, including a cookie button that gives you an unlimited roulette of new holiday cookie recipes each time you hit it. This magic button is proof that even the simplest things in life are the most addictive, and a reminder that we all need sweet rewards here and there, especially during this busy yuletide season. If it’s not cookies that strike your fancy, then you can opt for the more elusive – but equally rewarding – “Holiday Spirit” generator. Hit the snowflake and you’ll get back creative holiday party ideas, like this adorable snowman punch and this hilarious Christmas coal candy, that’ll up the ante on your entertaining game during these last few festive weeks of December. You can even search for recipes by emoji. 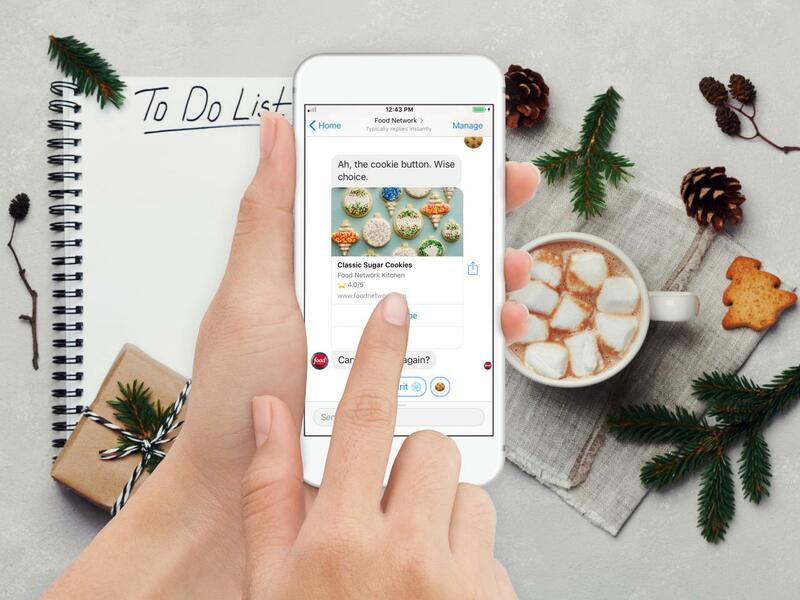 Send the bot a Christmas tree to initiate a cute response, along with Food Network’s best holiday recipes (and even an animated snowfall). The bot is here to help you and your family start new traditions as well as relish in old ones. Get inspired. Get in the kitchen. But don’t forget to spend time with your favorite people. 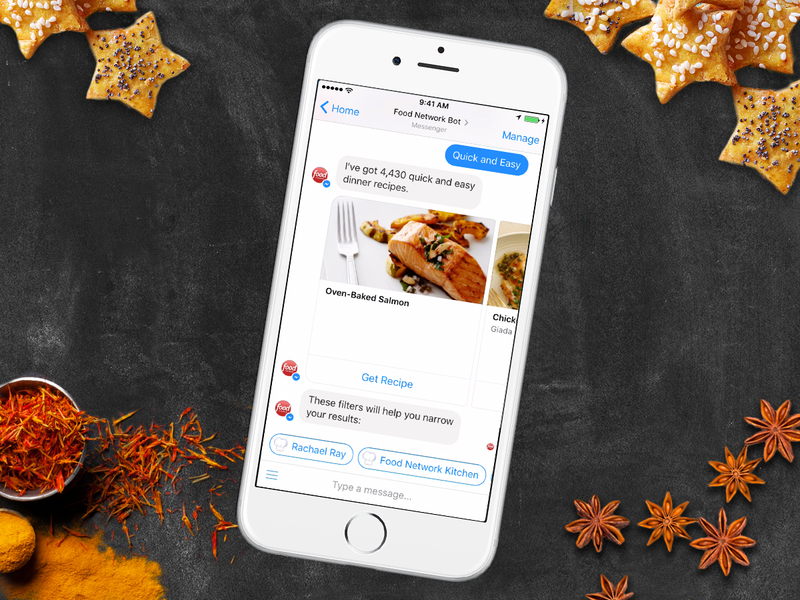 Now you can find recipes instantly by chatting with our new bot on Facebook Messenger. Search by ingredient, chef, emoji and more. No download required — just strike up a conversation with Food Network.